The ultimate fun-in-the-sun vacation awaits in the Soouther Caribbean. Snorkel, sunbathe, and shop as you cruise from island to island aboard the stunning Celebrity Summit. 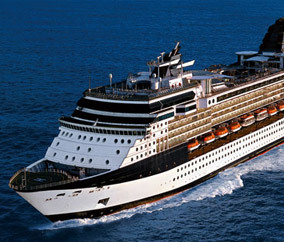 In 2016, this brilliant star of the Millennium® Class will shine even brighter, as Summit receives her grand makeover. The Penthouse and Royal suites will get glimmering new marble, fixtures, seating, and more. Our new Rooftop Terrace will give you a chic new way to experience the great outdoors, with creative cocktails, favorite snacks, and movies alfresco. If you hunger for an Italian steak house, we'll give you the fresh pastas and dry-aged steaks of Tuscan Grille. As always, enjoy an unordinary dinner at the innovative Qsine® , then top it off with a chilled Peartini at the ice-topped Martini Bar. Or, relax in our spa-inspired AquaClass® staterooms, with access to the "clean cuisine" of Blu. Meet Captain Kate McCue, first American woman to command a cruise ship. Sophisticated and upscale, Celebrity earns high marks with couples, honeymooners, and families. Staterooms are spacious, spas are full-service, and premium suites come with butler service. An Enrichment Series brings lectures from experts, and some ships feature Cirque du Soleil performances. Destinations include the Caribbean, Alaska, Europe, and more. All cruise offers are per person, cruise only, and include all port charges unless otherwise specified. All fares already reflect the T+L Family Club's additional savings of up to 10% on select cruises, unless otherwise specified. Pricing is based on availability at the time of booking and may vary by departure. Further restrictions may apply. Discounts and amenities are subject to change. Reservations must be made through a T+L Family Club travel counselor. Please ask for details. Promotion and prices contained within are limited and may be changed or discontinued at any time. Certain restrictions may also apply. Although every effort is made to ensure the information herein is correct, on occasion, typographical errors can occur, for which we are not responsible.